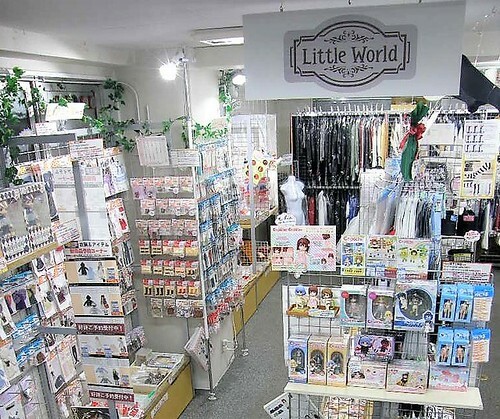 Pullips invade Little World stores in Japan! This picture was from one of my last trips up to Animadness, so many dolls in it were common then but have since become pretty hard to find. All these years later, I still miss Animadness T_T. 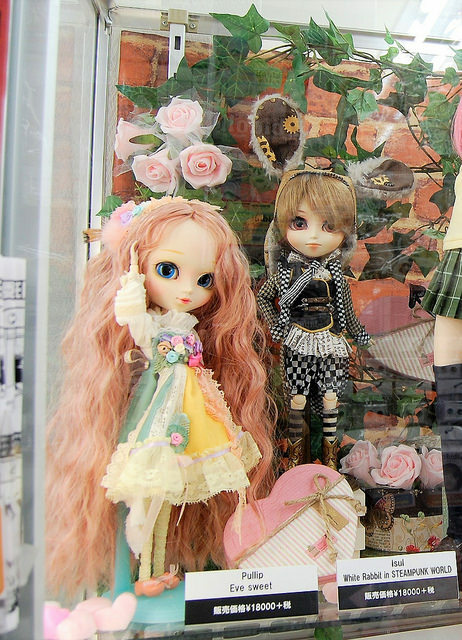 Groove recently shared photos on their blog of three Japanese stores who carry Pullip. 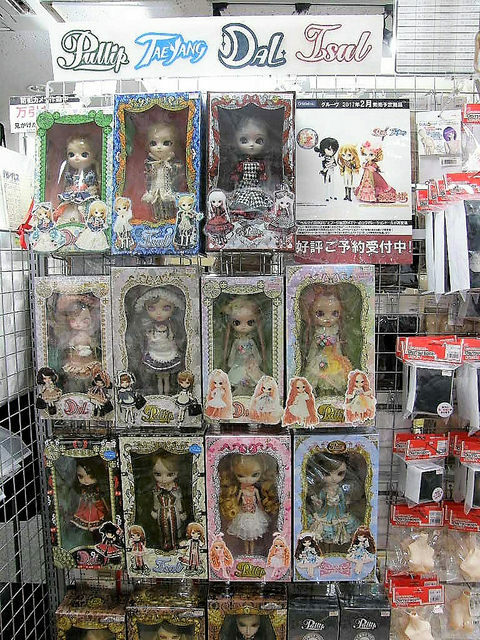 I know seeing Pullips at stores shouldn’t be such a surreal concept to me because I have seen them at Animadness in the past but I nevertheless get very excited about this type of thing. 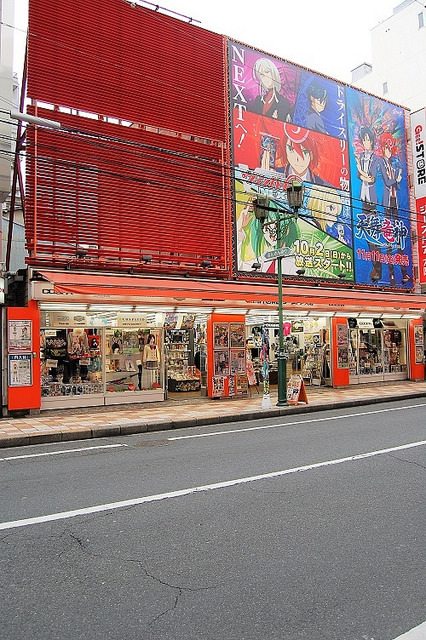 I really need to start making a list of all these stores that Groove has featured so I know where to visit when/if I ever do make it to Japan. 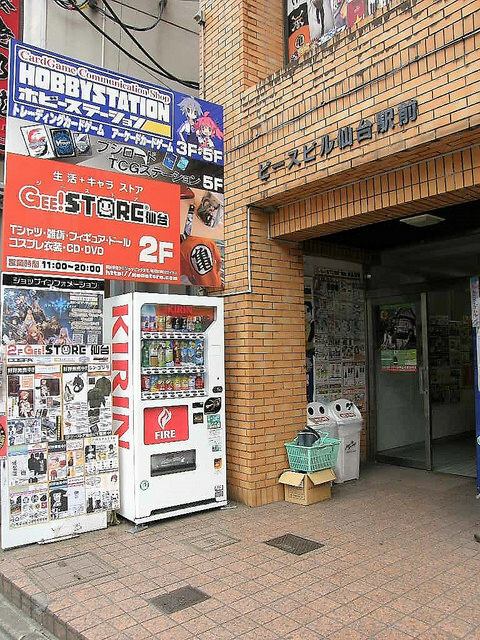 Photo of the entrance, I love the giant billboard! 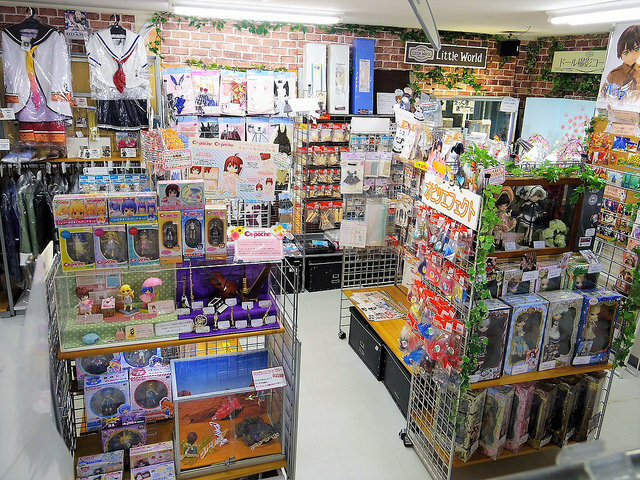 I feel like I could probably spend hours here looking at all the different doll stuff, all the great doll clothing options and I even see 1/3 scale Azone dolls underneath the Pullips. They seem to have a nice selection of Pullips available for purchase including Pullip Harley Quinn Dress Version, Pullip Wonder Woman Dress Version, Creator’s Label Pullip Lupinus, Pullip Sweet Eve, Pullip Bonnie, Taeyang Dodo in Steampunk World, Dal Alpin as well as a Creator’s Label Quince mostly hidden behind her, Dal Cherry Sweet, Dal Alice in Steampunk World, Isul White Rabbit in Steampunk World and Isul Eder. Pullip Eve Sweet and Isul White Rabbit in Steampunk World are an unlikely duo but I must say they look quite nice on display together here! 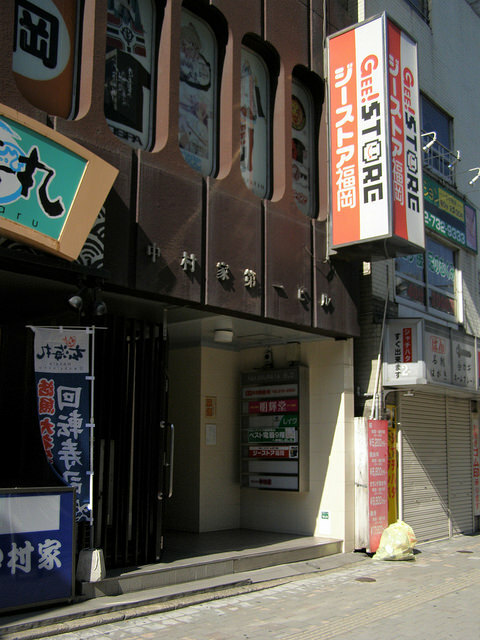 While the store may not be very large they have a lot of variety and a nice range of products. 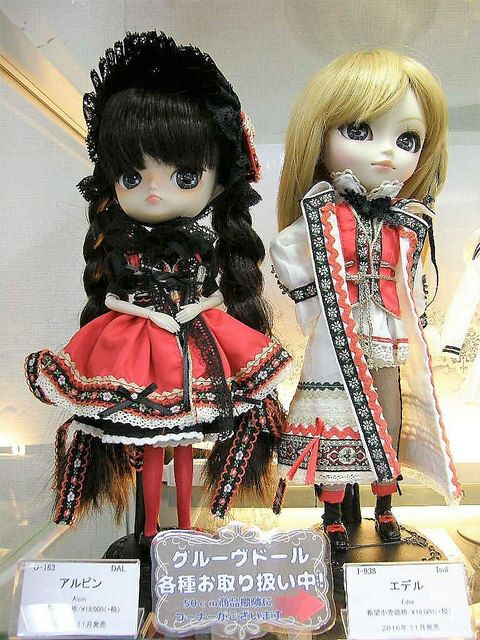 Creator’s Label Pullip Lupinus and Dal Quince are prominently featured in the display case. 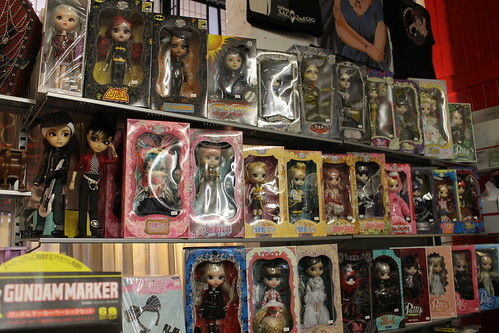 This store has a nice selection of dolls including SDCC Pullips Wonder Woman and Harley Quinn (these seem to be the original versions not the newer releases), Dal Alpin, Creator’s Label Dal Quince, Dal Cherry Sweet, Dal Dana, Pullip Optical Alice, Angelic Pretty Pullip Marie, Creator’s Label Pullip Lupinus, Isul Caros, Isul Eder, Pullip Eve Sweet, Pullip Bonnie, Dal Alice in Steampunk World, Isul White Rabbit in Steampunk World & Taeyang Dodo in Steampunk world. 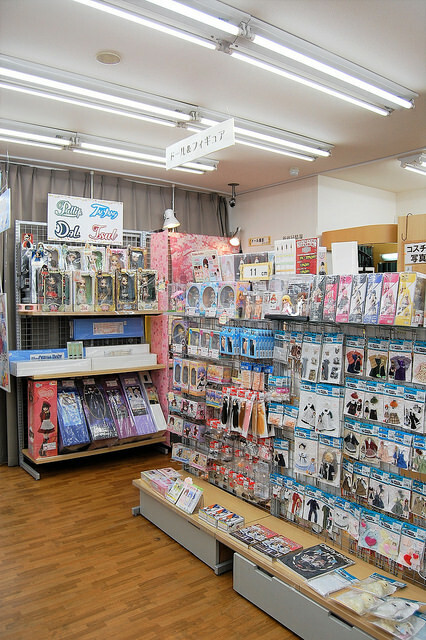 The store appears to have a nice selection of different brands and products including azone clothing/dolls as well as cu-poche from Kotobukiya. Lots of great dolls on display here including Dal Dana, Isul Caros, Pullip Optical Alice, Creator’s Label Dal Quince, Creator’s Label Pullip Lupinus, Dal Cherry Sweet, Pullip Eve Sweet, Dal Alpin, Isul Eder, Pullip Bonnie, Angelic Pretty Pullip Marie and on the bottom shelf an unknown Dal, Pullip Katina, Taeyang ReonHARDT, what I believe are the SDCC Pullips Wonder Woman Dress Version and Harley Quinn Dress Version. I love that they displayed small promotional pictures of the dolls on their respective boxes. 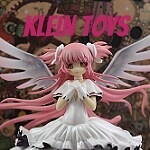 Dal Alpin & Isul Eder were released in November of last year, I really need to get Isul Eder to go with my Alpin ^^;. This entry was posted in Doll, Pullip and tagged 2017 groove, 2017 pullip, asian fashion doll, Dal, dal alpin, eve sweet, fashion doll, groove, isul, isul eder, isul white rabbit in steampunk world, Pullip, pullip eve sweet, pullip japan, white rabbit in steampunk world. Bookmark the permalink. 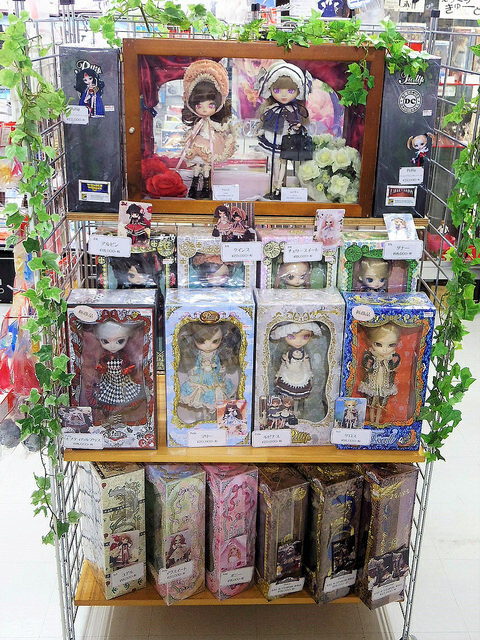 1 Response to Pullips invade Little World stores in Japan!